Supplied with a 70mm (Equal) thumbturn cylinder. The conflict between a secure British Standard accredited front door lock and fire safety recommendations has now been overcome thanks to the new Keyless Egress Range. The new BS8621:2007 standard mirrors the BS3621:2007 but is for ‘escape’ locks. 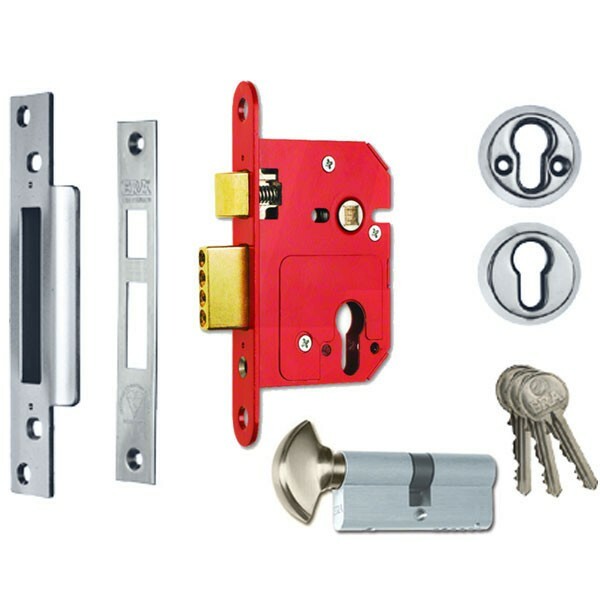 The locks are classified as providing keyless egress at all times. This applies where there is a requirement for an easy action method of opening an external door from the inside with no need for keys or similar devices for unlocking. Especially relevant for entrance doors in multi-residential and other buildings. A keyless lever on the inside of the door ensures its possible to make an emergency escape in the event of a fire. Handing is reversible (Pull & Twist).